MANILA — Investor sentiment toward emerging East Asia’s local currency bond markets has improved but there are concerns about financial stability in the region, including ongoing trade conflicts, according to the Asian Development Bank’s (ADB) latest issue of the quarterly Asia Bond Monitor. At the end of 2018, there were US$13.1 trillion in local currency bonds outstanding in emerging East Asia, 2.4 per cent more than at the end of September 2018 and 11.9 per cent more than at the end of 2017. Yields have fallen while foreign holdings have increased in most markets. Overseas investment in local currency bonds in China bucked the regional trend. The share of foreign holdings in China fell to 5 per cent at the end of December 2018 from 5.1 per cent at the end of September, reversing a rising trend seen since 2016, as the pace of US interest rate hikes looked set to slow and amid a depreciation in the Chinese yuan. The wave of financial volatility that unsettled emerging markets last year has subsided in recent months. Vulnerable markets such as Argentina and Turkey are showing signs of stability. A major factor behind the stabilisation of emerging markets in Asia and elsewhere, evident in stabilisation of their exchange rates, is expected in the pace of interest rate hikes by the Federal Reserve. Despite these positive developments, ongoing trade tensions and other major risks mean global uncertainty remains elevated. China still had the largest local currency bond market in emerging East Asia at the end of 2018 with $9.453 trillion in bonds outstanding, 72.2 per cent of the region’s total. In Asia overall, only Japan’s was bigger at an estimated $10.668 trillion. 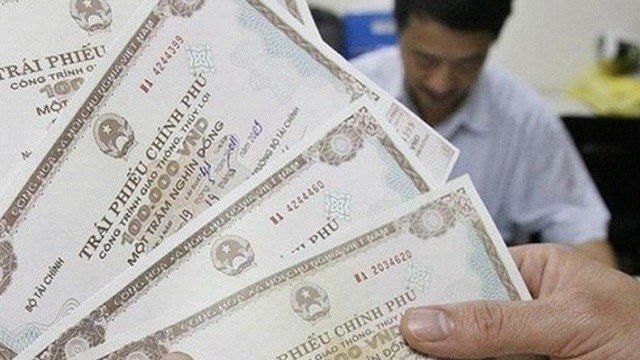 Việt Nam’s domestic bond market was the only in emerging East Asia to shrink in the fourth quarter of 2018, down 5.3 per cent with the value of local currency equivalent to $51 billion as of the end of 2018. This decline was mainly due to a 6.2 per cent decrease in the Government bond market in the fourth quarter when all outstanding State bank bills matured in late December 2018. However, for all of 2018, the domestic bond market increased 9.3 per cent in value of the domestic currency. This was supported by a 29.4 per cent rise in the corporate bond market last year, to $4 billion. Emerging East Asia comprises mainland China, Hong Kong, Indonesia, South Korea, Malaysia, the Philippines, Singapore, Thailand and Việt Nam. In a special section, the report noted the potential for the development of markets for green bonds, whose proceeds are used for environmental or climate financing. Issuance in the region between 2016 and 2018 was led by bonds denominated in Chinese yuan, which made up 46 per cent of emerging market green bonds issued.